Be careful about venting on social media such mistakes can cost you your job and other career opportunities . Even if you think your posts are private, they can be forwarded to others. A potential employer can see the post and question your professionalism and loyalty. Complaining about your company, job, coworkers or boss: Social media is not the platform for this behavior. If you have a problem with someone or something at your workplace, speak to the appropriate individuals instead of sharing it on social media. Putting your complaints out there for the world to see is never the way to go, especially when you have something to say about your job or your boss. Even when you think your posts are safe from your boss, a colleague might be able to forward it to him or her. Even if that one comment doesn't hurt your job now, it could come back to haunt you later. A future potential employer might see it and decide that you're not worth hiring since you've badmouthed your employers in the past. Making offensive remarks about gender, race or religion : Any comment meant to offend another person or group could cost you your job. For example,CNN reports on an incident where a former Washington National radio show producer drunkenly tweeted an inflammatory and racist comment about the people of San Antonio after his team lost a game. Others on the radio show were not amused and fired him for his comment. Wherever you are on the Internet, avoid posting offensive comments like this, even if they're meant as a joke. The thing about job offers is that they're sometimes confidential. Just because you have the job offer doesn't mean it's a sure thing, and if you break that confidentiality right off the bat, your employer may see you as untrustworthy and revoke the job offer. Definitely don't say anything negative about the job offer! Mashable reports on a woman who posted, "Cisco just offered me a job! Now I have to weigh the utility of a fatty paycheck against the daily commute to San Jose and hating the work." Unfortunately, a Cisco employee saw the post. She lost the job before her first day. Using poor spelling, grammar or communication. Take the time to ensure your message is clear, concise and correct. According to Jobvite’s annual recruiting survey for 2015, 92 percent of employers use social media in recruiting new employees. 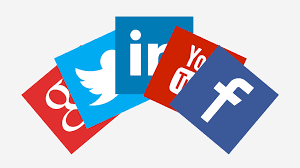 Forty-nine percent of hiring managers who review social media posts from candidates report they have chosen not to hire a candidate based on information posted on social media. Consider how you want to be perceived by your boss and company. How you represent yourself on social media matters. Prospective employers learn about you through your internet postings and current employers can be informed of questionable and negative postings. If you want to be recognized as a knowledgeable professional, your social media posts need to reflect professionalism. 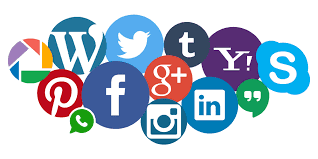 With the exception of LinkedIn, the business/professional social network, social media is primarily used for personal sharing. However, coworkers, colleagues and bosses are often reading your posts. Think about each post and consider how you would feel if your boss was reading it. Refrain from using profanity and offensive language. Don’t post pictures of drinking or drug use. Be careful in sharing your political and religious views. Employers may make negative assumptions about you based on these posts (even though they are not supposed to). However, social media can be used in a productive way to build your career. You can “follow” or “like” certain industries, companies and professional groups related to your degree. Another way to highlight your professional skills and positive qualities online is to start a website or blog related to your industry. You can write about things you are learning in class, new techniques, research, ideas, solutions or even questions you have about your industry. Make sure to use professional language, and you can build your online presence and become a subject matter expert in your field. Don’t let questionable social media posts affect your career. You can manage your online reputation by setting up an alert on Google Alerts to alert you each time your name is mentioned on the internet. You can set up notifications and monitor your privacy settings on social media sites so others cannot tag you in inappropriate pictures. Finally, you can share posts about volunteering and community service activities. Employers like to see positive community interaction. Make sure you always use correct spelling and grammar (some employers do not like to see text language in social media). Most of all, do not delete your profiles altogether. Make sure you at least have a LinkedIn profile. According to an article written by Amy K. McDonnell, contributing writer with Career Builder, 41 percent of employers said they were less likely to interview job candidates if they are unable to find information about that person online. So don’t be a ghost – be professional!